Though Windows Server 2016 has been available since October 2016, subsequent updates and releases have caused its functionality to expand drastically – one of the most recent introducing Hyper-V’s native hypervisor tools. 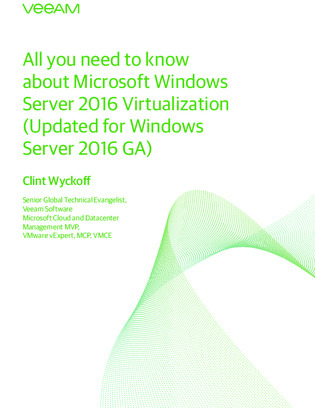 To paint a better picture of Hyper-V’s additions to Windows Server 2016’s virtualization arsenal, this guide is here to help. Inside, you’ll find a digestible overview of all its features alongside useful PowerShell scripts and best practices, designed to make testing and running your own Hyper-V environment more manageable.